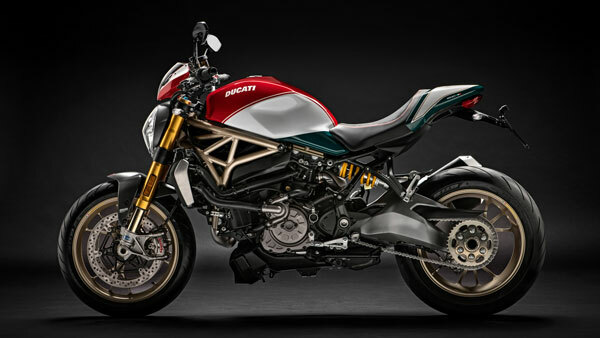 Ducati has launched a new limited edition Monster 1200 to celebrate the 25th anniversary of the Monster brand. The new bike is called the ’25° Anniversario’. The first ever Ducati Monster made its debut at Cologne trade fair in 1992, Bologna . Over the years Ducati has sold over 3.25 lakh units of the Monster in various iterations . 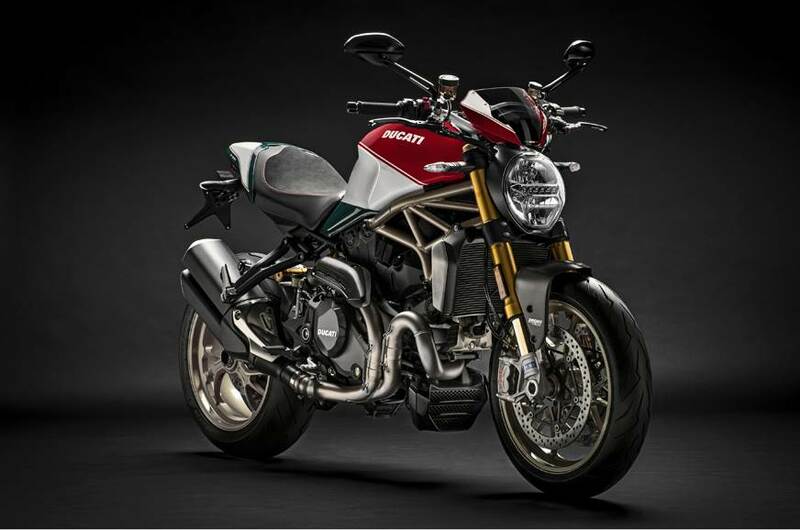 The new limited edition Monster 1200 will be limited to just 500 units and all of them will be numbered serially. 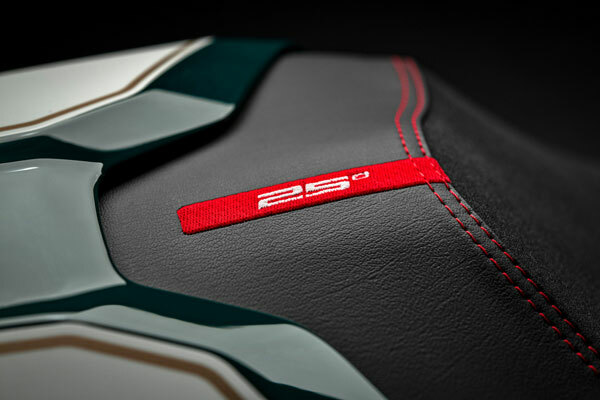 25° Anniversario will share machined components, carbon-fibre bits and mechanicals from the top-spec Monster 1200 R. It is available in a special colour scheme – the three colours of the Italian flag on the windscreen, fuel tank and passenger seat cover – inspired by the 2008 Monster S4RS Testastretta Tricolore. The frame of this special edition Monster is finished in gold colour. The 25th Anniversary edition model is equipped with Marchesini wheels with W-shaped spokes which is also done in gold colour. The mirrors, handlebar-end weights and the petrol cap are all machined from solid aluminium. Carbon fibre has also been used for the front and rear mudguards, keyhole cover and the exhaust heat guard. 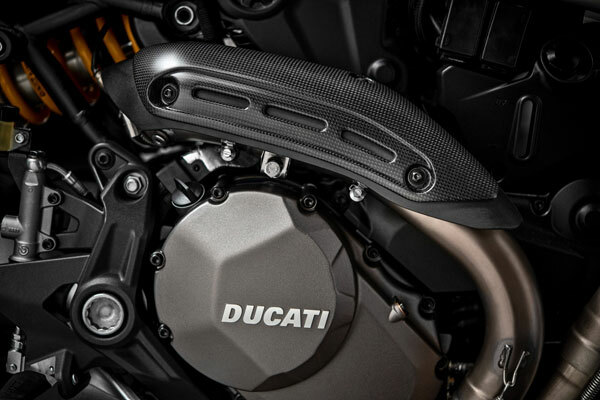 25° Anniversario is powered by Ducati’s liquid-cooled, 1,198cc L-twin engine that puts out 147hp and 124Nm of torque . Engine tune may be similar to that of the Monster 1200 S. However, the suspension and brakes, on the limited edition 25° Anniversario makes it more of a 1200 R than 1200 S. It gets the same 48mm, fully-adjustable Öhlins fork and monoshock with a steering damper from Öhlins . Braking is taken care by twin 330mm discs along with Brembo M50 monoblock callipers up front, and a single 245mm disc at the rear. 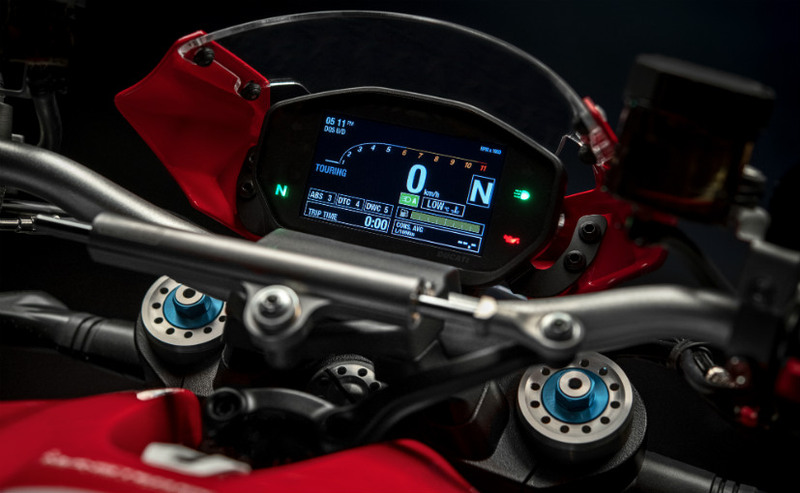 The Ducati Monster 1200 limited edition features Inertial Measurement Unit (IMU) supplying data to the Bosch cornering ABS and Ducati Wheelie Control (DWC). 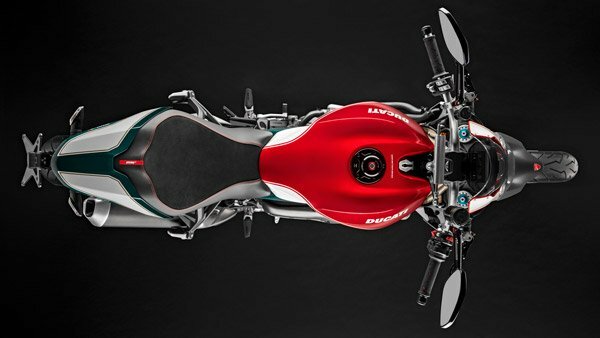 Other riding aids include Ducati Traction Control (DTC) and Ducati Quick Shift Up and Down (DQS) and three riding modes: Sport, Touring and Urban.